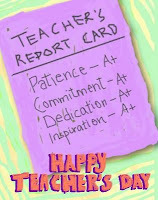 It is not that we choose to 'forget' our teachers or to not pay tribute to them on other days but, it's in the significance of this day that we should take a moment to remember all the good things they have done, all the sweat and hardship they have gone through and especially their dedication to ensure the future generation get to live a better quality of life. I sincerely believe that every single teacher wants his/her students to be successful in their study and in whatever they maybe venturing in future. Such is their hope that they can be regarded as our 'parent' who work very hard to ensure we 'leave' our school as proud graduates. Cikgu Azhar, our Form Teacher during earlier days as secondary schoolars, whom I must admit had termendous headache teaching us English - I knew you must have felt like talking to aliens. Cikgu Margaret, a Ranau born commerce teacher, for the good insight of commerce, finance, accounting, and who underatand us inside out. Mr Chuah Chong Leng, then the senior deputy to the Principal, En. Abd Aziz Abbas, for all the free tuitions and being the spiritual mentor to many of us. Your no-nonsence teaching style we remembered well. The last correspondence I had with him, I knew he resides in Perak. Ms Goy Siew Kee (also fondly known as Pn. Ang - the sweet smiling teacher) for undivided attention and your never-say-die attitude although many of your students feared and sometimes in total avoidance of your subject, Kimia. Well, I want to let you know your subject was one of my favourites. If not for the love of electrcity, I surely would've pursued chemical engineering. I liked the colour of burnt copper! (CuSO4) - that was in my Ujian Amali during SPM. Cikgu Sinin, the discipline teacher turned counsellor. I was one of the prefects and we're so motivated under your mentorship. I had one memorable audience with you and thankful for that. 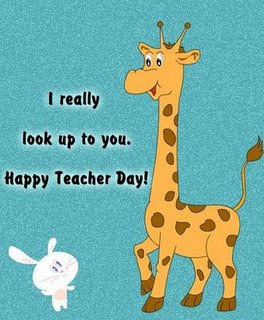 To our teachers at SBPS Bukit Padang (now known as SM Sains): Mr Khalid, Mr. Yim, En Rahim, Cik Rosnah, Cikgu Bob, thank you. I spent lesser years there but that's life as student, everyone got to move on.